I'm currently buying backpacks and brokering! I have backpack.tf premium what comes useful when brokering items so add me if you want to give my brokering a shot! I broker for free or a small fee depending from the item. My name is The Snake Himself, I joined steam 2014 and this is my new account. 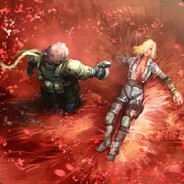 I'm a big fan of metal gear solid games and tf2, I have over 7500 hours in total in tf2 atm, started playing tf2 on this account around september 2017, I quit for months but I'm back again! My birthday is 28.12.01, feel free to send me a gift during that day! GE + arcana sure is something. Added my lightning stuff to it for fun. I sent an offer on the strange flamethrower you got.